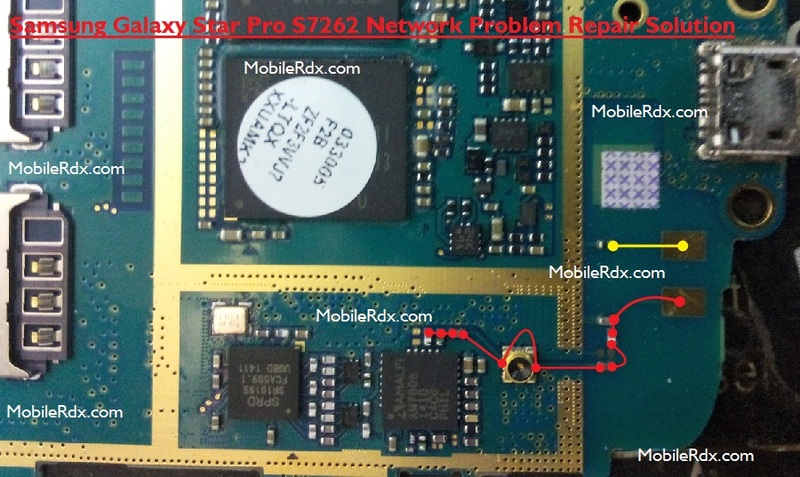 This post is for Samsung Galaxy Star Pro S7262 Network problem solution. If you are experiencing low network connectivity or No Signals at all in your Samsung S7262 check the diagram in this post. There is a very slim chance you will get this kind of problem but if it happens you should check the Signal Antenna and it’s Connector Pads are properly connected and there is no disturbance between them. Signal Antenna pads are placed on the back side of the motherboard. If by any chance you have damaged your Samsung GT-S7262 Signal Antenna pads I have marked their jumper ways in this diagram. Please be very careful while making any hardware repairing.